I've received so many requests asking about my upcoming wedding. I truthfully don't have much to tell you girls. My fiance' and I are just enjoying that wonderful feeling of being engaged! 1. We haven't set a date, but we do plan on waiting about a year and a half. 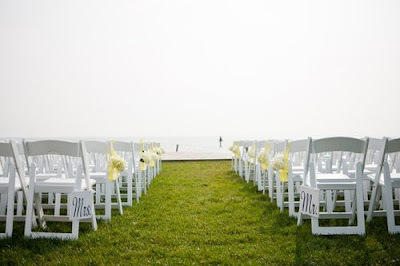 Once we do set a date, we want to make sure that we have plenty of time to plan our dream wedding. 2. 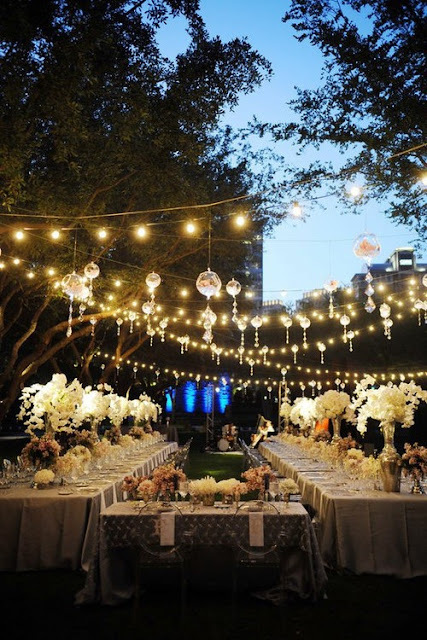 So, our dream wedding combines two things: romance and fun. We don't want to put on some huge production that doesn't feel like us. It's all about celebrating our relationship, so we want our friends and family to feel at home and we want them to walk away from it saying, "wow, that was so them." Make sense? 3. Ideally, we want to get married on or by the ocean. I'm not yet certain what that entails because I haven't started doing any research but my fiance' and I love the beach. We definitely want to get married outdoors. 4. I want lots of flowers and candles at the reception. A lot! 5. I want a very simple yet elegant dress. Strapless would be nice, with maybe a sweetheart neckline. Tell me, what do I really need to know? I am so excited for you! I am not sure what advice I can give but I just enjoyed the process and I also focused on having the wedding we wanted...a lot of people have "opinions" and at the end of the day you have to do what you like and want. 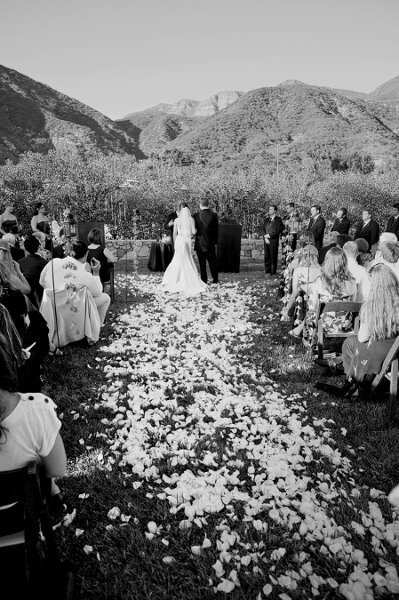 V: I absolutely loved seeing pictures of your wedding! 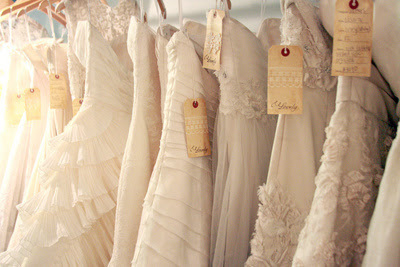 I remember when I saw your dress, I practically gasped because it's exactly what I have always had in mind. My ring is still getting sized at the jewelers but once I finally get it back, I will show it :) Most likely in an OOTD. Oh Noelle I am so excited for you!! I could seriously write you a novel on the planning process, however I am planning to document a lot of the planning process on my blog. And I agree with Veronika, do what YOU want. The biggest issue I had was getting opinions and demands (!!) from others when I didn't agree. Just keep in mind that this is your wedding and stay true to yourself. I was thinking of you because I just ordered the Sonya Renee amazing studs (I know how much you love them! )...do they tarnish at all? Natasha: Awwww, thank you sweetie! I'm sure i'll take you up on that! Yes, we are definitely getting married here in SoCal. It would be amazing to have a destination wedding, but that just isn't possible for our budget! Lynn: Thank you :) I will certainly keep this in mind. I don't want to turn into some demanding bride, but I just want things to be as stress-free as possible. If that's possible! Ella: That's wonderful that you both have similar taste! My mom and I differ greatly on those matters. If it were up to her, I'd have a complete princess wedding. Not that there's anything wrong with that, but it just wouldn't be authentic for me. The amazing studs are gorgeous! I wear them all the time. No, they do not tarnish. I've honestly worn the heck out of mine and they still look beautiful. I can't wait to read about this new journey you'll be on. I am still a "miss in the waiting" (as my mom says), but I have been a bridesmaid a few times. The biggest advice I can give is on THE wedding day. Slow down, take it all in, and enjoy having everyone you love in one place...JUST FOR YOU! It goes by so quickly a lot of brides forget to just have fun! I can't wait for the wedding posts to start coming though! I can't get enough of them :) I am really looking forward to seeing your choices, you have such a great eye for detail. I considered getting married in Cali! So many awesome venues to choose from. We were looking at a restaurant in OC called The Cliffs or something? It was gorgeous--right on the ocean, on a cliff. Congrats! You have told us so much already with what you do know ;). Keep us updated please! Andi: Thank you! Yes, I know the exact plave you are referring to! It's beautiful!